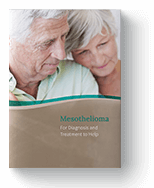 A growing number of women say that using certain personal hygiene products can cause mesothelioma and other cancers. They are warning women around the world to stop using these products and see a doctor immediately. One of these women has received a $13 million settlement from consumer-products maker Colgate-Palmolive over claims tied to Cashmere Bouquet talcum powder (talc). In the suit, the victim claimed that she used the product for decades before being diagnosed with mesothelioma and that the company failed to warn her of the “risks, dangers and harm’’ to which she would be exposed through “inhalation or ingestion of the asbestos dust’’ in the body powders. Colgate-Palmolive is now facing nearly 200 cases accusing it of selling asbestos-laden body powder, according to the U.S. Securities and Exchange Commission. More than 40 cases have been resolved so far this year. The American Cancer Society (ACS) lists talc that contains asbestos as carcinogenic to humans. “In its natural form,” says the ACS, “some talc contains asbestos, a substance known to cause cancers around the lungs when inhaled.” Now it appears that some “natural” talc can still be found in many products American’s use every day—including body powders. Though the amounts may seem small to skeptics, the United States Environmental Protection Agency (EPA) says, “there is no known safe level of asbestos exposure.” This means, even the smallest amount can cause mesothelioma, lung cancer, asbestosis, ovarian cancer, and many other diseases. It is important to note that the International Agency for Research on Cancer (IARC) also classifies talc that contains asbestos as “carcinogenic to humans.” Part of the World Health Organization (WHO), the agencies main goal is to identify causes of cancer. As such, numerous studies on personal use of talc have been conducted. Results of these studies have been mixed, with some suggesting an increase in certain cancers. Feeley, Jef, and Margaret Cronin Fisk. "Colgate-Palmolive Settles Claims Over Asbestos in Its Talc." Bloomberg.com. Bloomberg L.P., 10 Nov. 2017. Web. 29 Nov. 2017. "Known and Probable Human Carcinogens." American Cancer Society. American Cancer Society, Inc., 2017. Web. 29 Nov. 2017. "Protect Your Family from Asbestos-Contaminated Vermiculite Insulation." EPA.gov. United States Environmental Protection Agency (EPA), 28 Dec. 2016. Web. 29 Nov. 2017. "Talcum Powder and Cancer." American Cancer Society. American Cancer Society, Inc., 2017. Web. 29 Nov. 2017.